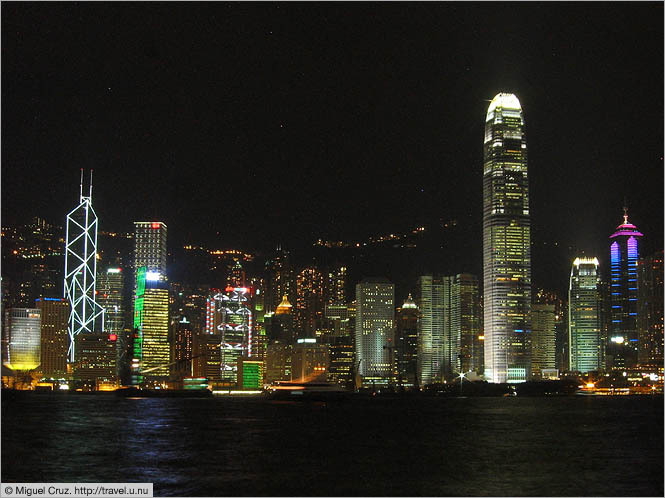 In addition to being stunningly beautiful, the Hong Kong skyline is also extremely expansive. This photo shows only a tiny slice of it. The tall building on the right is Two International Finance Centre, currently the highest in Hong Kong (until the International Commerce Centre is completed in a couple years), and depending on how you count, either the fourth or the seventh highest in the world.